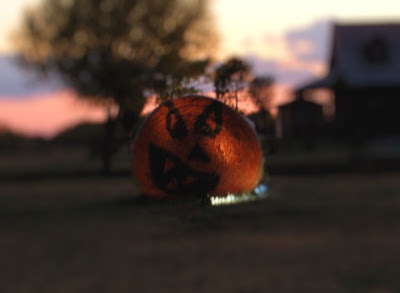 I've been meaning to get a shot of this 'pumpkin' spray painted on the side of a bale of hay, and time has slipped and now it's past halloween! Luckily, the owners still have the hay in their front yard so here ya go! Not long to go now Brian! I'll be watching CNN and waiting! Wow, what a clever idea!